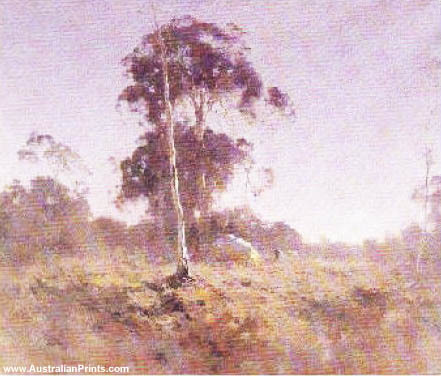 Theodore Penleigh Boyd (15 August 1890 – 27 November 1923) was an Australian landscape artist. Penleigh Boyd was a member of the Boyd artistic dynasty: his parents Arthur Merric Boyd (1862–1940) and Emma Minnie Boyd (née à Beckett) were well-known artists of the day, and his brothers included the ceramicist Merric Boyd (1888–1959) and the novelist Martin Boyd (1893–1972). His son Robin Boyd (1919–1971) became a famous and influential architect, educator and social commentator, and his nephews Arthur Boyd, Guy Boyd and David Boyd became prominent artists. Penleigh Boyd is best known as a landscapist with an accomplished handling of evanescent effects of light. A notable influence was artist E. Phillips Fox, who introduced him to plein air techniques when they were neighbours in Paris in 1912–3. Penleigh Boyd died in an accident, when he lost control of his car on a sharp bend near Warragul and the car overturned. At his death his obituarists compared him to Arthur Streeton and rated him as one of the most promising painters of his generation. Artist information page for Penleigh Boyd. This article uses material from the Wikipedia article Penleigh Boyd, which is released under the Creative Commons Attribution-Share-Alike License 3.0.